I bought my first VAX on eBay. It was a whim really, as I had no experience with a VAX except as an undergraduate at Purdue where the Engineering Computer Network consisted of several VAX-11/780s running a home grown dual-processor version of BSD. A paper on that system can be found here. Disk controller board with two independent SCSI buses. I replaced the rather small SCSI drives with two 540MB drives taken from a Compaq PC. (Kind of ironic I think.) I also added a CD-ROM drive. 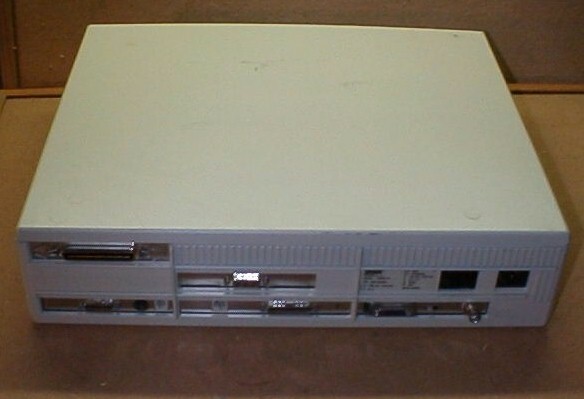 The CD-ROM drive facilitated the installation of NetBSD 1.5. 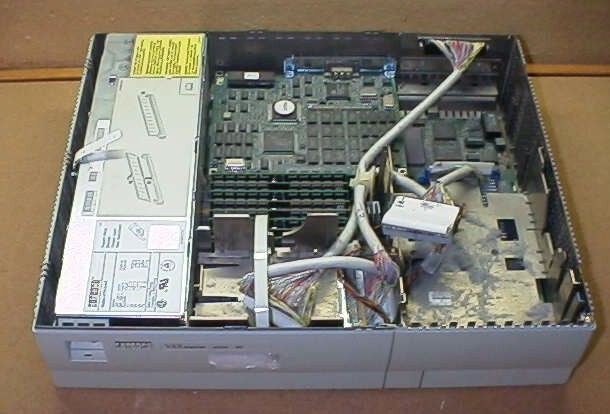 The computer is networked via the 10base2 Ethernet port. It is actually quite a capable machine. 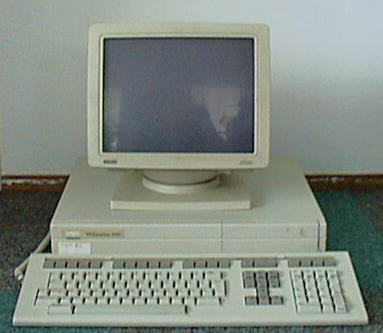 Intended as a workstation, the VAXstation can have a keyboard, mouse, and monitor directly connected to it. Since I do not have these, I have set the little switch in the back to allow it to use the printer serial port as the console. The VS4000 is about 12 VUPS vs 2.8 for the VS3100. 104MB (!) of memory, 8MB on the motherboard and an additional 96MB on six 80-pin SIMMS. 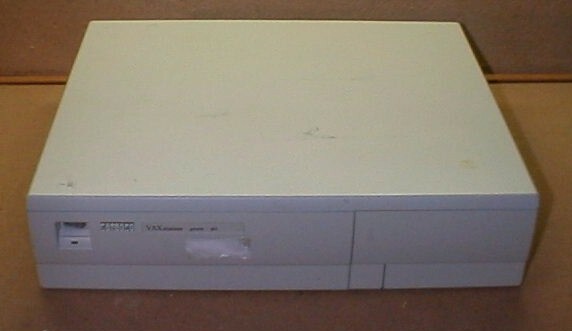 This machine, like the VS3100 is set up for a serial console. This machine now acts as my webserver running Apache. This machine was piece together from various boards and a BA23 chassis. 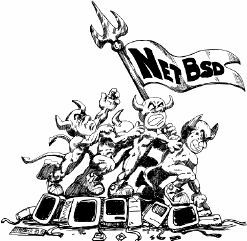 NetBSD - The source for NetBSD/vax. The VAX Archive - Lots of VAX and QBUS information. VAX related items that may be of interest.